but then again, never have I seen everyone making such a big fuss about a pack of instant noodles since perhaps when cup noodle was first introduced. 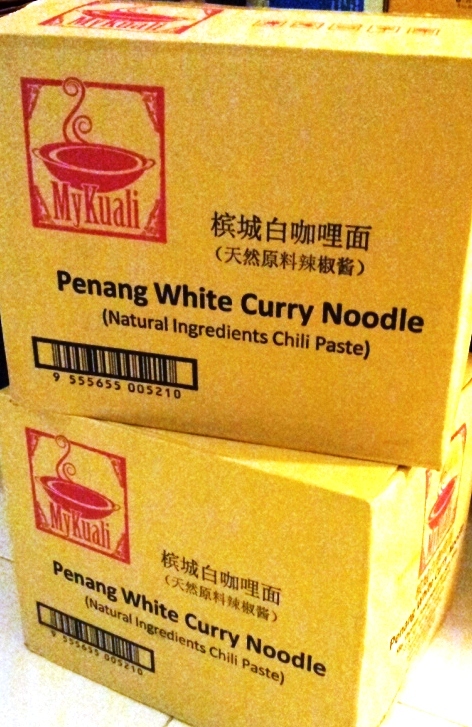 I have even heard that this instant noodles is actually ebayed at an inflated price. shocking eh? The reason is probably because this noodle is supposedly really hard to come by and it is always out of stock. Hence, like any economic 101 class you attend, less supply and higher demands = higher price. We decided to share our fortune with our close friends and gave some away. 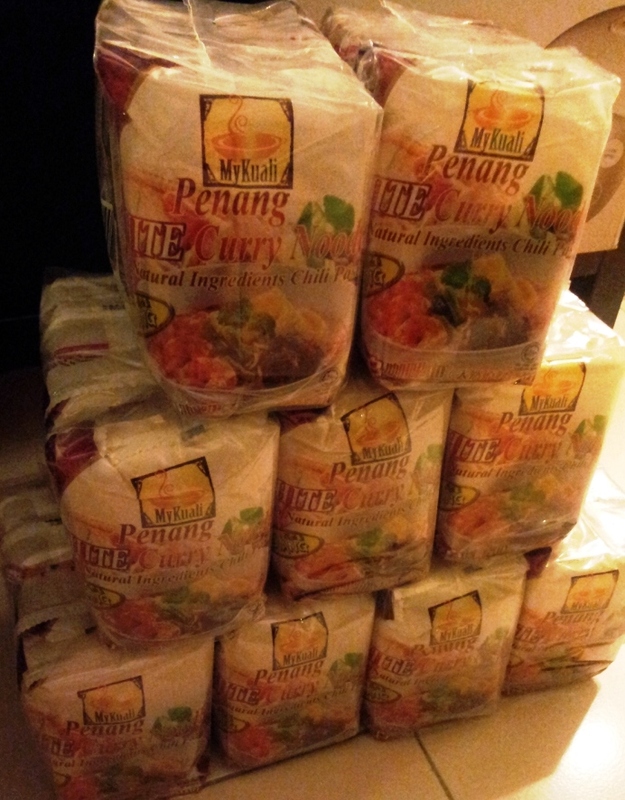 Behold the tower of instant noodle. 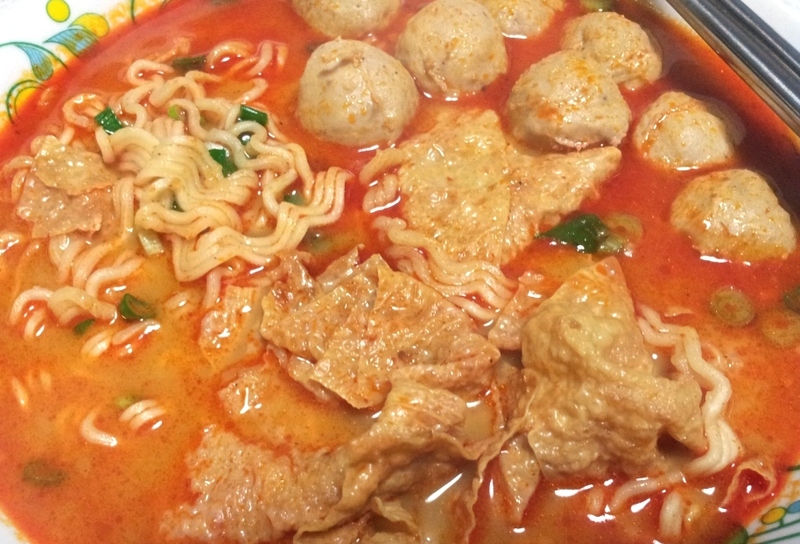 Personally, if I have to eat instant noodle, I think I would still prefer the Korean Shin RamYum. But then again, it’s not fair for me since I could just walk out / drive to a nearby kopitiam to enjoy a bowl of good curry noodle anytime. So, For any Malaysian who are posted oversea and craving for a good bowl of white curry, then, this would definitely score big time for them. 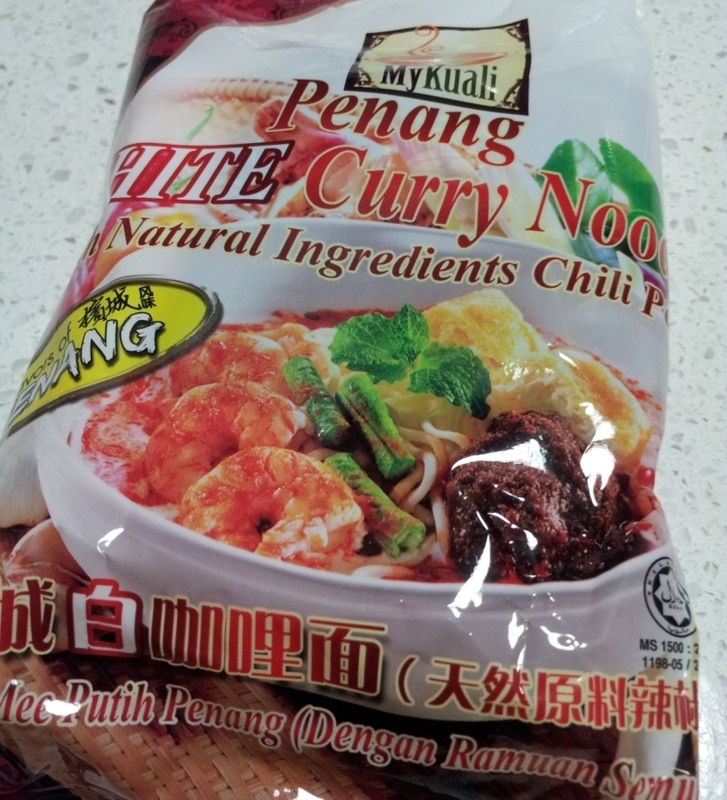 I read somewhere that this noodle was created in the first place because of the creator’s craving for his hometown Penang White Curry when he was studying oversea.